When the weather starts heating up, sometimes the only thing to do is go inside. This season many of us will take to the air-conditioned refuge of our local megaplexes. To switch things up, I offer you a list of local independently owned theaters. Many of the theaters screen the same new releases, but also provide character and unique programming. The Hollywood plays a wide variety of movies as well as special film events. Known for its Rocky Horror Picture Show performances, as well as its “Breakfast and a Movie” series (just what it says, breakfast, and a movie) there’s something for everyone. The single-screened theater is a nonprofit dedicated to revitalizing Potomac Avenue and Dormont by providing a theater and community center. The Strand offers a variety of films as well as live performances. The Rocky Horror Picture Show screens regularly (17 & over only) and yes, you can throw things at this performance. The theater screens classics like Gone With the Wind and The Wizard of Oz, but you can also find live shows at The Strand. The nonprofit theater was restored in 2002, and wants to expand the project. The Manor theater screens both wide-release and independent movies, at often lower prices than the megaplexes. The Manor also boasts “The M Bar” in the lobby where patrons can bring alcoholic drinks into the theater. Check out the “Manor at Midnight” series, when the theater screens classic movies Saturdays at midnight. 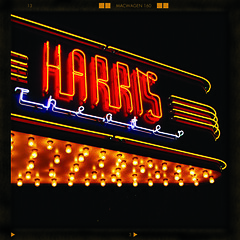 Owned by the Pittsburgh Cultural Trust and programmed by Pittsburgh Filmmakers ,the Harris Theater is a classic movie house in the heart of the Cultural District. The theater screens foreign and contemporary independent films, and is also part of the Three Rivers Film Festival. The single screen Oaks Theater screens both new releases and cult classics. Check out the summer series “Moonlit Matinees”, where Oaks screens a cult classic every Friday and Saturday night. Once a month, the theater hosts the “Cine Bruch”, where movie fans can watch and munch on a delicious Oakmont Bakery brunch. Owned and operated by Pittsburgh Filmmakers, this single screen theater plays limited release independent movies seven days a week. 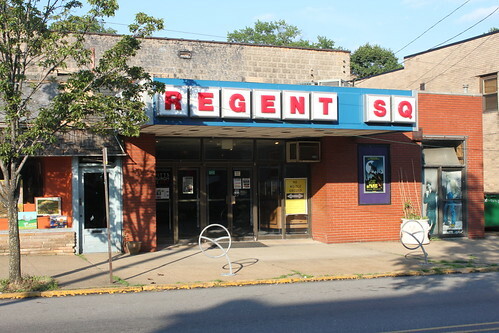 In addition, every Sunday night the Regent Square theater hosts “The Sunday Series”, a monthly series of film screenings based around a theme, era, or director. 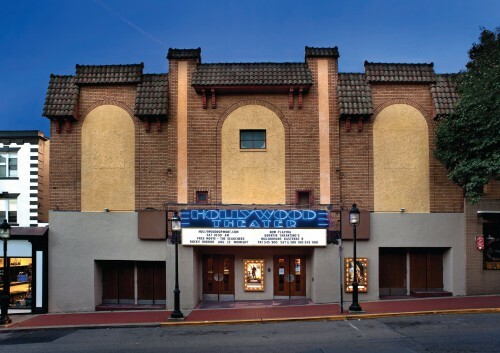 Located within the Pittsburgh Filmmakers building, the Melwood Screening Room is the youngest of the independent theaters on this list. The screening room plays independent features, and hosts “Film Kitchen” on the second Tuesday of every month.“Film Kitchen” is a series featuring local short films. The filmmakers are present at the screening and available for discussion after the show. What’s your favorite theater in Pittsburgh? Seen any good movies lately?